Vera Wang fragrances are especially popular among women. They come with such distinctive and attractive smells, allowing the wearers to be confident and fresh throughout the day. There are several products available, but you may have put your attention to Vera Wang Princess and Vera Wang Rock Princess. 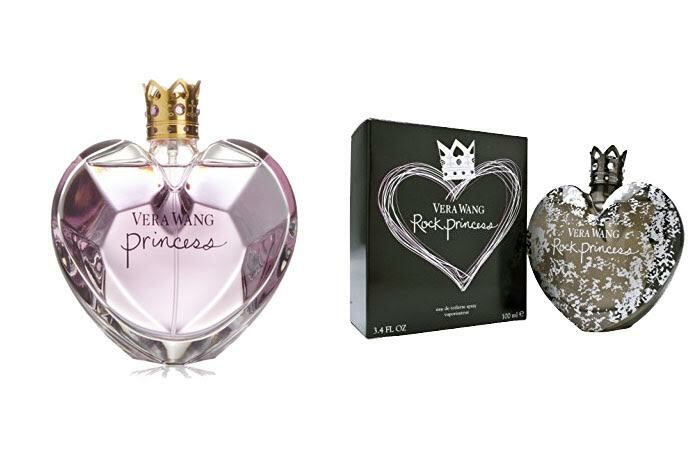 The two products are available at almost similar prices, though, indeed, Vera Wang Rock Princess is slightly more expensive than Vera Wang Princess. So, how do the two fragrances differ from each other? Which is the fragrance that is the most suitable for you? Vera Wang Princess is a lovely fragrance that comes in a heart-shaped translucent pink bottle. Quite interestingly, as if trying to emphasize the ‘Princess’ word in its name, the cap of the bottle is shaped like a crown as well. About the perfume itself, Vera Wang Princess can be largely defined as a scent of a fresh, sweet, and cheerful young princess. The smell is fruity and floral. There is a mixture of a variety of fruits and flowers that produces such a sweet and pleasant aroma. Vera Wang Princess is also quite strong; a little spray can deliver sufficient scent already and can last for hours. Vera Wang Rock Princess is quite a unique variant of Vera Wang Princess. Vera Wang Rock Princess comes in a heart-shaped bottle as well, but the color is dark gray with off-white stripes to create a faux stone motif, while the crown stopper is studded with rhinestones. Vera Wang Rock Princess is defined as a perfume that shows the rebellious side of a princess with its dark-floral-fruity composition. The smell is fruity and floral, but also glam and trendy and a little bit musky. As the effect, it delivers such an elegant and enchanting scent. The sillage is also quite strong and lasts long. For young, energetic women, Vera Wang Princess is the best way to go. It is also perfect for daytime. Meanwhile, for a scent of elegant maturity, Vera Wang Rock Princess should be the choice. It is also great for night time.